i'm part italian, so i'm sure it comes as no surprise that i absolutely love italian food. 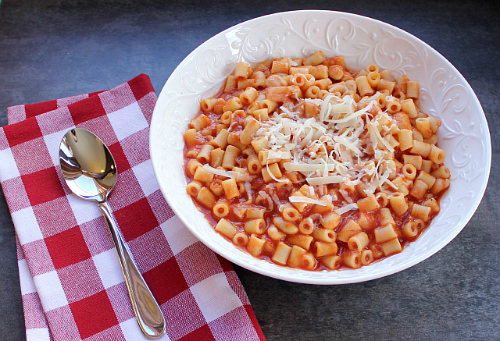 one of my all-time favorite italian dishes is pasta fagioli, which is a traditional italian soup. of course, there are countless variations of the recipe. a few months ago i shared a copy cat recipe for olive garden's version of this soup. however, today i wanted to share my family's version with you. this recipe has literally been passed down through my family for generations. my mom still has the old recipe card with the recipe for this soup written in my great grandmother's handwriting. now that my great grandmother is gone, it is certainly something that we treasure. growing up, one of the dishes that i remember my great grandmother making often was pasta fagioli. she had her own spin on the recipe, as did my grandmother, and as did my mom. out of all of the different variations of pasta fagioli that my family has made over the years, my mom's version is my favorite. 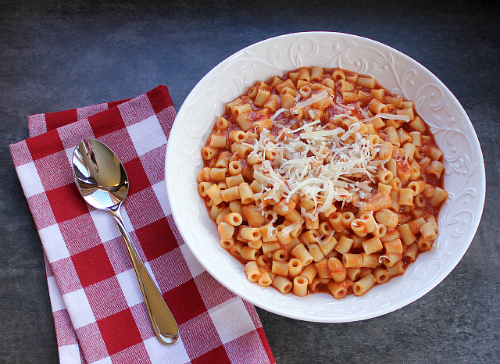 my mom's italian pasta fagioli soup recipe is a simple recipe that doesn't require many ingredients, and it is both quick and easy to make. it is absolutely delicious, and it is a classic. for me it is the perfect comfort food that reminds me of all of the sweet memories of my childhood. 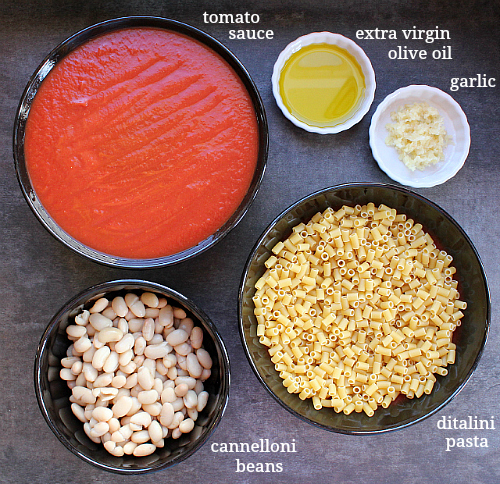 ps: today i'm guest posting over on carrie's blog "frugal foodie mama" and sharing this pasta fagioli recipe. there is also a giveaway there too. so, be sure to check out my guest post and the giveaway here. cook pasta according to package directions. meanwhile, in a large soup pot, heat the olive oil over medium heat. add the minced garlic and saute for 1-2 minutes. do not let the garlic brown. add the tomato sauce and the water. allow the soup to simmer for 10 minutes, stirring often. drain and rinse the beans. add the beans to the soup and cook for 5-10 minutes over low heat. 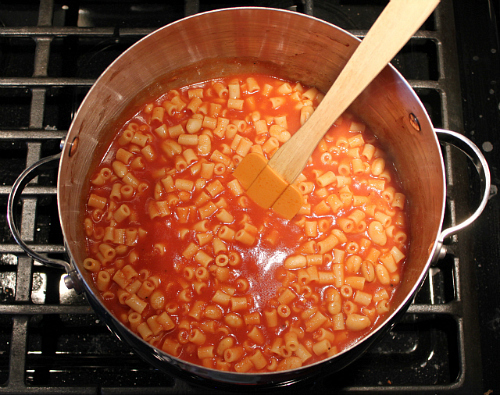 once the pasta has finished cooking, drain the pasta and add it to the soup. serve hot with grated parmesan cheese. Looks absolutely delicious for this damp February day. Excellent with a piece of buttered Italian bread. Great Grandma would be proud. I really like the layout of all the ingredients and the labels. It looks professional, because it is.